On this fourth and final Sunday of Advent, we hear the story of Elizabeth greeting her cousin Mary with joy and love. Both women are in the midst of surprising and history-altering pregnancies. Out of this greeting of blessing, Mary goes on to sing a song we know as the Magnificant, a proclamation of the Gospel. Mary’s and Elizabeth’s stories remind us that we all bear light and love of Christ, and are called to sing our own magnificants. 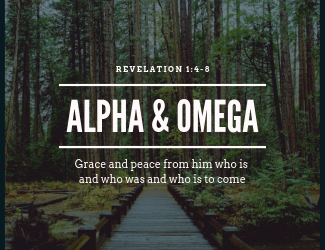 Join us in worship this Sunday as Rev. Mollie preaches and we explore what embodied love looks like in Advent and beyond. The Lakewood UCC Book Group is now meeting on the first Sunday of the month after the Church Service. Below is the list of the books we will be reading and on what dates. June 2: Plan books for the coming year! In his letter to the church in Philippi, Paul says, “Rejoice in the Lord always; again I will say, Rejoice.” Our heart may say “yes” to Paul’s command, but our head often says, “not so easy.” Does Paul know anything about difficulty and loss? He can’t really mean always, right? Paul, in fact, knows plenty about loss and difficulty and yet he still believes in the power of rejoicing anyway. Join us this Sunday as Pastor Curt preaches on the Advent theme of Joy, and how a weary world rejoices. Most days the world doesn’t seem like a very peaceful place. Across the globe and in our own homes there is far too much violence. The prophet Isaiah spoke of a time when swords would be beaten into plowshares and spears into pruning hooks. Weapons of war would be transformed into tools for tending and growing. Nobody is against peace, but many of us struggle with what it takes to make it and to find it. Join us this Sunday as Pastor Curt preaches on the ways of peace and how to hold on to them is a season and world that seems anything but peaceful. Advent is a 4-week season of waiting and preparing for Christ’s rebirth at Christmas. It is a season rooted in the hopeful visions of the ways the world could be and should be. The prophet Isaiah had seen the worst of what the world can offer: war, devastation, division, and exile. And yet, he preached a word of hope to God’s people. 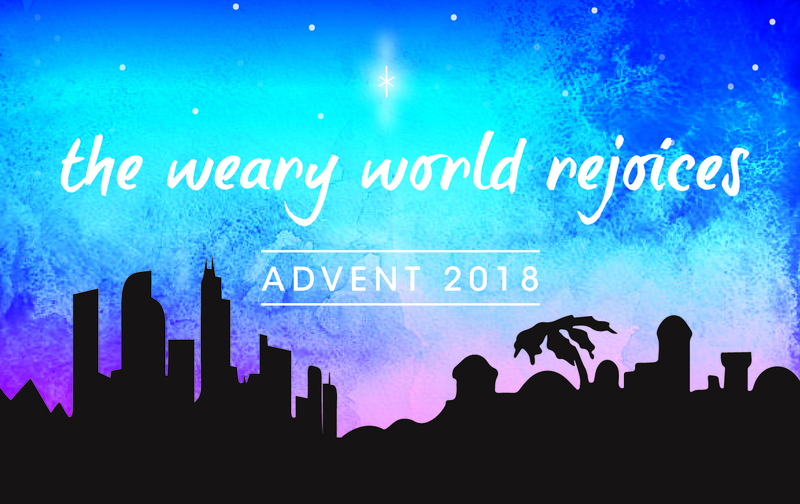 Our theme for Advent this year is, “A Weary World Rejoices.” Join us this Sunday as Pastor Curt preaches on hope, incarnation, and how we can continue to rejoice in the midst of a weary world. This Sunday marks the end of the church year, as we’ll start a new year with Advent. Well before the ball drops in Times Square, it is a time to reflect on the ways God has been at work in our world, life, and self throughout the past year. Before we enter fully into Advent and preparing for the Christ child, this gives us a moment to pause, to prepare for what is yet to come, a time to marvel at the present. Join us this Sunday as Rev. Mollie preaches on God’s time and ways that God is with us from the beginning to end, and everything in between. Let’s face it, most of us are worriers. We tend to fret over our jobs, our homes, even what clothes to wear. Sure, we take occasional breaks from our worry. Thanksgiving is time to relax, if only for a few hours, and give thanks for the abundance God has provided. Join us this Sunday as Rev. Curt preaches on how we can turn Thanksgiving into ‘Thanksliving’ all year round. Here at Lakewood UCC we are truly blessed! We are a thriving congregation with many activities and opportunities to participate in the life of the church. This year’s stewardship theme is, “What Gifts Can We Offer?” I Peter 4:10 encourages us to “…serve one another with whatever gift each of you has received.” We thank God for all of the many gifts we have among us and we seek to use them to serve the Lord through this church. This year’s stewardship campaign will be held on October 28, November 4, and November 11. 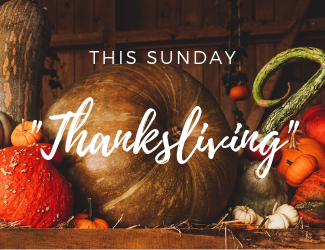 Pledge cards will be dedicated during the November 11 service, and afterward, the Stewardship Committee will host a thank you luncheon for the congregation. Come join us as we discover what gifts we can offer and praise God for all of our blessings! Read the 2019 Narrative Budget. A rich young man came to Jesus and asked what it takes to inherit eternal life. Jesus answers, “You already know. Keep the commandments.” But the young man wasn’t satisfied. He wanted to do more. He wanted to go the extra mile. And Jesus responds, “In that case, you lack one thing.” Each of us lacks one thing. Some of us more than one, but all of us have something that’s holding us back from becoming the fullest version of ourselves. 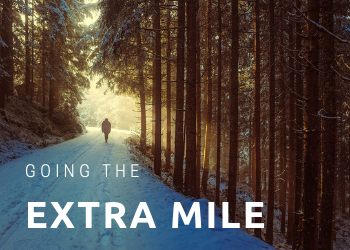 Join us this Sunday as Pastor Curt preaches on the things we have, the things we lack, and the journey of going the extra mile.